For rookie Secret Service agent Holland Tylo, landing one of the top protection jobs in Washington is a clear sign that her career is right on track. Suddenly it all blows up in her face when Senator Westbourne is gruesomely murdered on her watch. Devastated by the senator's death, censured by her superiors, Holland is isolated. But as she struggles to clear her name, terrifying questions confront her: Was she set up? Is the President next? Alone and discredited, Holland discovers that Senator Westbourne's death is only the tip of a massive plot to which she has the key: a computer diskette that holds the secret of the scheme. Now Holland must hide from the very people she most trusted -- even as she is pursued by one of the most devious and vicious killers the Secret Services has ever known. Caught in a web of betrayal, she is both hunter and hunted, never knowing if one of her former friends might kill her. 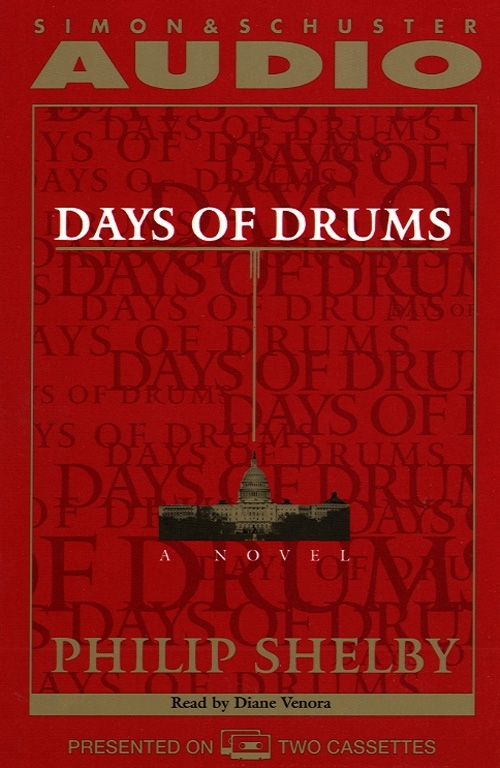 With gripping tension and daring intrigue reminiscent of In the Line of Fire, Days Of Drums is a dazzling suspense thriller featuring one of the most memorable heroines in recent fiction.